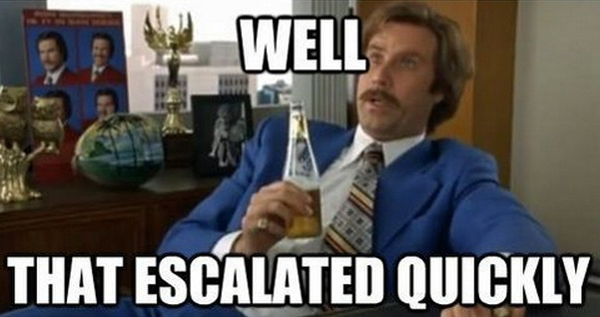 In my March 31st blog post, I said that the Tri-State had not gone the entire month of January, February, and March without a Severe Thunderstorm Warning being issued (since 1995 when the National Weather Service in Wilmington opened). All of these warnings were issued in the first 10 days of the month. 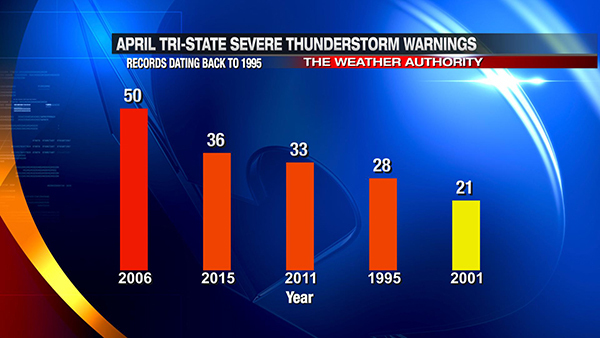 Between 1995 and 2014, an average of 14 Severe Thunderstorm Warnings were issued in the Tri-State each April; with 2015 included, that average now goes to 15. On average, April is the 3rd most common month for severe storms in the Tri-State behind June and May. The Severe Thunderstorm Warning count for so far this month for Clermont, Brown, Pendleton, and Adams County are new records for April. 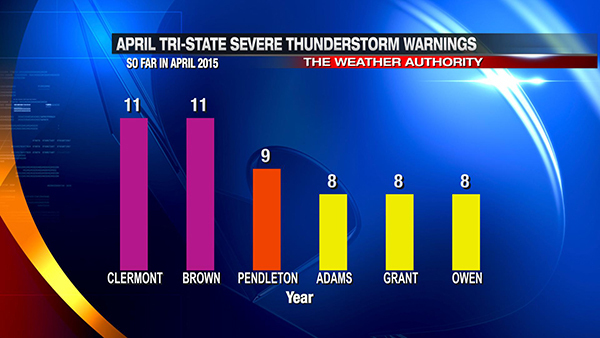 Grant and Owen have tied their records for the most number of Severe Thunderstorm Warnings in a single April. While there will be waves of rain and storms in the week ahead, this week does not look exceptionally stormy. The warning count for most if not all Tri-State counties will remain the same through the upcoming weekend.